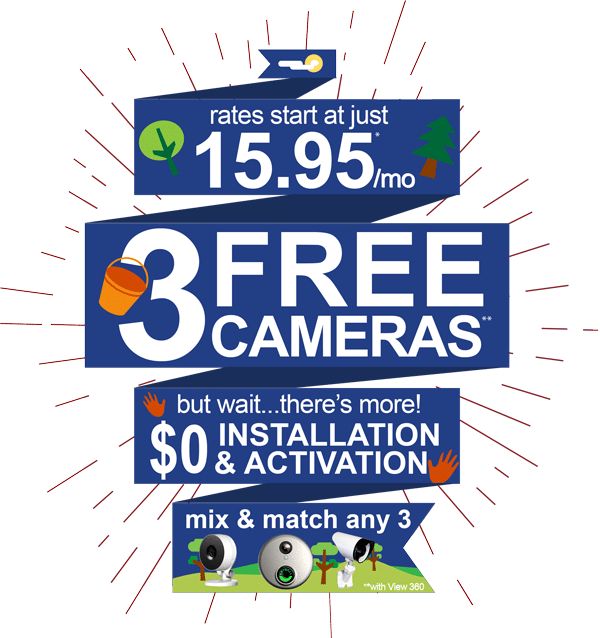 Wireless Home Security Systems, Business Alarm Systems, and Existing Alarm Monitoring in Grapevine! Fort Knox Security Systems in Grapevine has a reputation for the highest value of any Grapevine home security company. This is through our excellent service, affordable rate, and our UL-listed monitoring station where we monitor all of our alarms. Fort Knox is the premier home security systems provider, offering a consultative sale process and enabling a cost effective and simple experience for all consumers. With Smart Home Security packages, you can do even more. You can do things such as view Live Video, Lock/Unlock your doors, Control your home’s temperature, Control lights, and even more! (see Smart Home packages here) Contact us for details! Fort Knox Security has maintained our mandate of the highest level of customer service in our industry, since our founding over 14 years ago. Our excellence in capturing our customers’ confidence and doing what it takes to keep you safe has consistently earned us the highest rankings with online ratings and reviews. We also maintain the A+ rating from the Better Business Bureau. With the installation of a security alarm system, Fort Knox Home Security Systems™ provides you with the best protection possible. We provide you with business alarm systems, alarm monitoring systems, home security systems, and fire detection systems. Even more, you can have your alarm system easily activated by our licenced and trained technicians, so Fort Knox Home Security Systems™ can provide you with our 5-diamond alarm monitoring. Call us today! "Installation of the equipment was quick and professional, customer service provided accurate billing statements and extra equipment costs which matched prices originally quoted. My service includes emails and web based alarm control which works well from a cell phone just in case I forget to set the alarm manually before leaving." "The installer, Jamie came at the tail end of his blocked time, but he did call that he was running late. When showed up he took over our security system without a hitch. Glad to have our home monitored again." "We have 10 business locations in Dallas TX. Fort Knox services 8 of the 10, and we will be moving the service to Fort Knox from our other two locations once the existing contract ends." The Dallas/Fort Worth (DFW) Fort Knox Security Service™ Area includes (but is not limited to) these fine cities and areas: Addison, Allen, Arlington, Balch Springs, Bedford, Carrollton, Cedar Hill, Celina, Colleyville, Collin County, Coppell, Corinth, County of Dallas, DeSoto, Duncanville, Ellis County, Euless, Fairview, Farmers Branch, Flower Mound, Fort Worth, Forney, Frisco, Garland, Glenn Heights, Granbury, Grand Prairie, Grapevine, Greenville, Highland Park, Highland Village, Hurst, Irving, Kaufman County, Keller, Lake Dallas, Lancaster, Lewisville, Little Elm, McKinney, Melissa, Mesquite, Midlothian, Murphy, Plano, Prosper, Richardson, Roanoke, Rockwall, Rockwall County, Rowlett, Saginaw, Rockwall, Sachse, Seagoville, Southlake, Terrell, The Colony, Trophy Club, Rockwall, University Park, Waxahachie and Wylie.